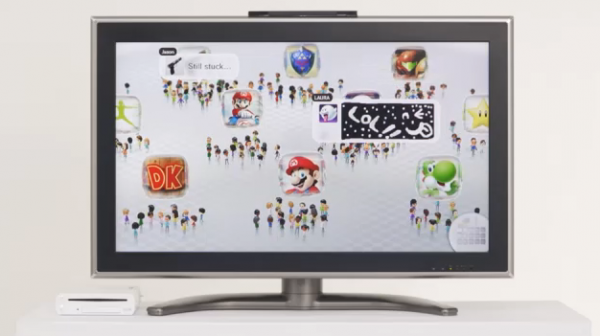 The above screen, dubbed “Mii Wara Wara,” is the screen you see when you boot up to the Wii U. It is filed with your Mii, the Miis of other accounts on your Wii U, your friends’ Miis, and other Miis from your region enjoying the same games as you. What Nintendo prepared for the WiiU OS is amazing! I love the 3DS OS and I was sure they would do a lot more again for the WiiU. I can’t wait to learn more about it. I would even say it is the first time I really care about the OS of an upcoming console. What does sara come from?? and the mario and metroid, does it mean that these are the game icons? Will nintendo show the real games on the conference?